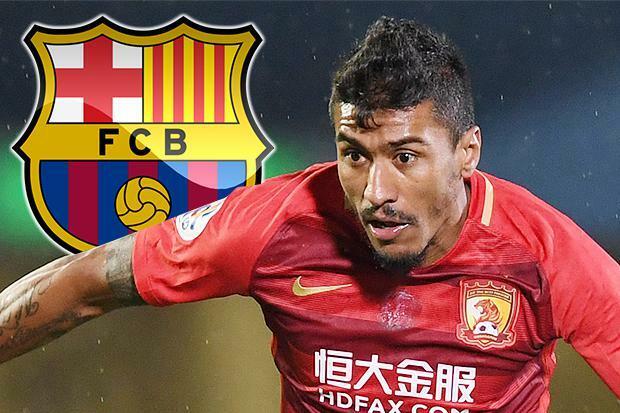 Barcelona agreed a deal with Guangzhou Evergrande to sign Brazilian midfielder Paulinho for €40 million ($36.35 million). The midfielder was officially presented to the media on Thursday after the Spanish side sealed the deal with the Chinese Super League club. Paulinho who said joining Barca was a special moment in his career promised to reward fans with great games. The 29-year-old said that he had lost his confidence while at Tottenham but later regained it when he joined Guangzhou Evergrande. Paulinho is Barcelona’s first signing since they sold Neymar to Paris St Germain earlier in August for a world record €222 million, with the Catalans still looking to make further reinforcements. Liverpool’s Philippe Coutinho and Borussia Dortmund’s Ousmane Dembele have both been targeted by Barcelona as they search for a player capable of replacing Neymar’s spark on the left of the attack. Coutinho has handed in a transfer request at Anfield. Barcelona have had two bids rejected for the 25-year-old and are poised to return with a third offer, according to reports in Spain. Barca fans are also still waiting for Lionel Messi’s renewal contract to be signed.